THE EAST APURÍMAC QUECHUA NEW TESTAMENTS HAVE ARRIVED IN PERU! This Sunday several of us from Wycliffe USA and Wycliffe Canada have the privilege of attending the dedication of the EAST APURÍMAC QUECHUA NEW TESTAMENT in Abancay, Peru. 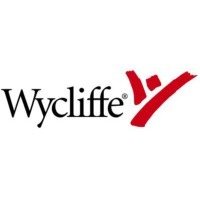 Check the Wycliffe Blog for updates. Does there always have to be a litmus test?